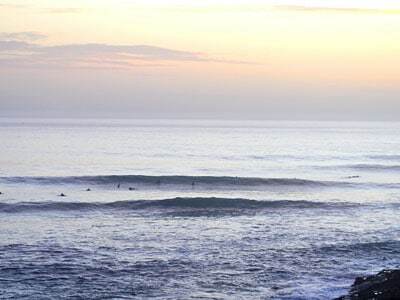 A regional classic right in front of the surf camp, this beautiful right-hander point break accommodates all levels. Up to 6-foot it is a fun, easy and forgiving wave that is perfect for people wanting to develop their surfing skills. Above 6-foot it is an amazing and powerful wave that will guarantee memorable sessions. Douze is located right next to the camp. It is a nice left-right peak with a clean take-off. The lefthander gets quite mellow afterwards and is a great wave for learning and for longboarders. The right-hander is very nice and powerful and can offer amazing rides. This is Douze’s “big sister”. ven more powerful take-off on a rocky slab with a nice opening face. Works best when the swell is not too big (up to 6-foot). 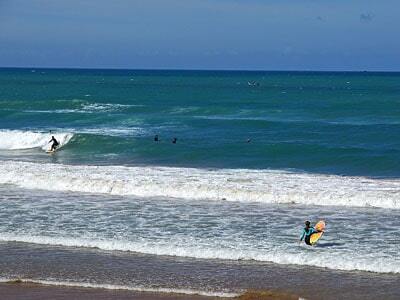 The Imourane beach is an easy beach break that is perfect for beginning and progressing. The point break to the right o the beach, called Devil’s Rock, can hold good surprises although not as consistent as the other points in the area. Great spot to take a mint tea on a terrace or just chill out on the beach for a sunbathing session. A very long beach with numerous peaks to begin and progress. One of the surf schools’ favourite, it’s a very nice beach where you can lie down in the sand after an exhausting session and watch camels amble by. Another great beach for beginners. Works only in the event of a big swell. The rocky point at the very end of the beach towards Taghazout sometimes delivers a nice right-hander. Arguably the most famous wave in Morocco, that completely lives up to its reputation. This powerful right-hander point break is very consistent and holds pretty much any swell size. It works best on big NW swells. Above 6 foot this wave is not for the faint hearted because of its power and the strong rips. To get back to the line-up if you’ve been lucky enough to catch a wave. One of the longest waves in the area, and one of the most beautiful as well. It was named “Killer Point” after killer whales were seen in the area. 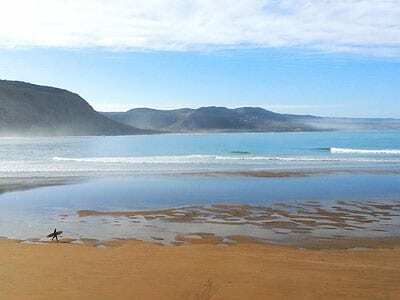 Surrounded by massive cliffs, this powerful right-hander point break can offer endless rides but requires a very solid physical condition because of the strong rip that it generates in the event of a big swell. One truly epic wave. 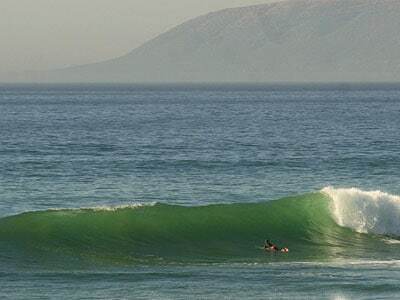 The Boiler Point is a very nice right-hander point break that works best at low tide. The entrance and exit is a bit tricky because of multiple rocks and urchins all over the place. But definitely worth it, a very fun wave that can offer long rides. Works great even when the swell is not too big. The one spot to go to there are no waves anywhere else: Tamri’s exposure makes it the perfect swell magnet. Beautiful, large and untouched beach with a rivermouth. Can be nice when the sand banks are well shaped. 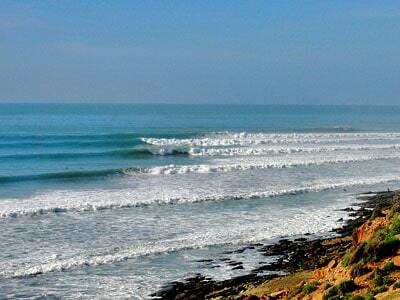 One of Morocco’s classic waves, maybe the longest in Morocco, that can offer 2-minute rides or even more. 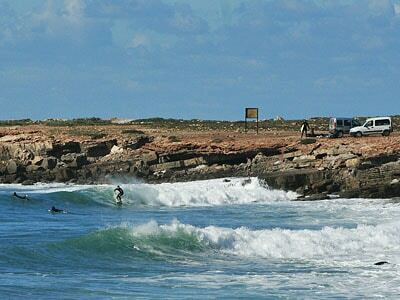 Very nice wave for longboarders and beginners when it is small. Imsouane is a beautiful little fishing harbour with a magnificent bay. Be prepared to walk back around the bay after a long wave! Imsouane trips ara available for a supplement.